Kentucky is constantly evolving our processes and fraud detection measures. We appreciate your continued patience in this process. * Direct Deposit only. Allow an additional week for paper check requests. Error correction will require additional time to process and may result in the issuance of a paper check in lieu of a direct deposit where applicable. Beginning in 2018, the Kentucky Department of Revenue offers additional information regarding the processing and status of your refund request. You may use the tool below for the most current status of your current year original return. Enter the primary social security number on your Kentucky tax return. You must enter your complete 9-digit Social Security Number. Enter the exact refund amount shown on your Kentucky tax return in whole dollars only. You must enter the exact refund amount in whole dollars only. To obtain a previous year(s) refund	status, please call (502) 564-4581 to speak to an examiner. 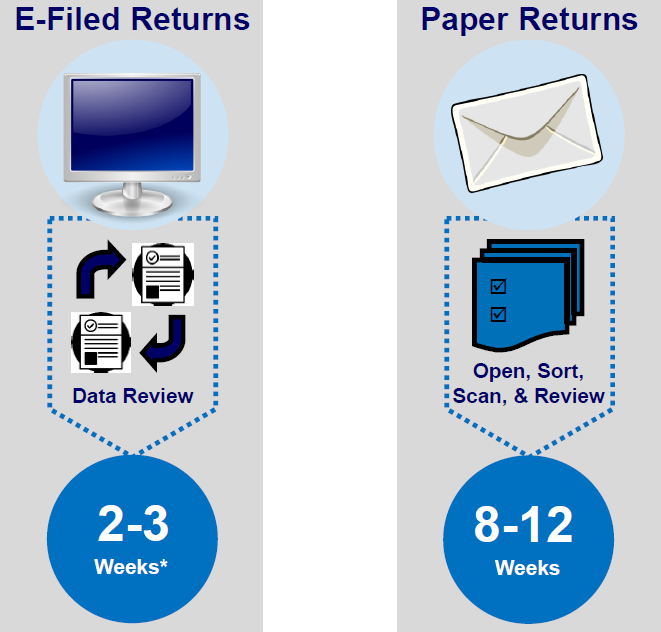 Prior year and amended return processing may require in excess of 20 weeks to complete. The Department of Revenue takes identity fraud very seriously. If any of your information (address, bank account, etc.) changed since last year, there may be additional security steps to verify your identity to protect you and the Commonwealth. This may result in extended refund processing times. © 2017 Commonwealth of Kentucky. All rights reserved.